What’s in a brand? It’s more than a name, a logo or a slogan – it’s the reputation that precedes your product or service before anyone has even had the opportunity to interact with it. A brand can make or break your business. At the centre of any successful brand is a Brand Manager, responsible for the perceptions your customers hold about your brand. They develop brand management strategies that serve to create an instantly recognisable product associated with favourable sentiments and messaging. With 92% of people relying on the recommendations they read online,1 the business need for skilled brand management professionals is more pressing than ever before. Effective Brand Managers need to be a combination of creative, logical, perceptive and tech-savvy, blending the ability to think out of the box with natural business acumen. On top of this they need to be able to lead: Brand Managers who are able to inspire enthusiasm in their organisation’s brand, both internally and externally, will have more success in producing a brand voice people want to hear from. What are the key responsibilities of a Brand Manager? What is the career path of a Brand Manager? 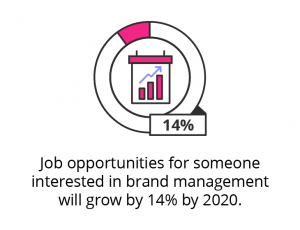 It’s predicted the job opportunities for someone interested in a brand management career will grow by 14% by 2020,2 as more organisations turn to dedicated professionals to ensure advantageous representations of their brand online. Brand Management as a profession was once reserved for only the most influential brand names in very specific industries, but with the rise of new channels of communication and the ability of consumers to impact the perception of a brand, more organisations, across the full spectrum of industries, are identifying the value in effective brand management strategies as part of their marketing efforts. It’s important to understand that every brand management career path doesn’t need to start in advertising school. Many companies looking to restructure the important role of Brand Manager may look to promote from within and find an employee who has existing experience and market knowledge working closely with the brand – such was the case for GetSmarter Past Student, RJ Prinsloo when he became Brand Manager at The Kartal Distribution. This is a more junior position that allows you to develop experience in the field. You’ll be focusing on developing brand strategies and aiming to maximise the sales of a specific brand. This is one role you can consider getting involved in as a starting point for brand management. You’ll be required to assess the performance of brand campaigns in determining their success and feeding that information back to the relevant parties. This role puts a lot of emphasis on strategic thinking and leadership. You’ll be responsible for the work of Assistant Brand Managers as well as implementing major changes within a specific brand. 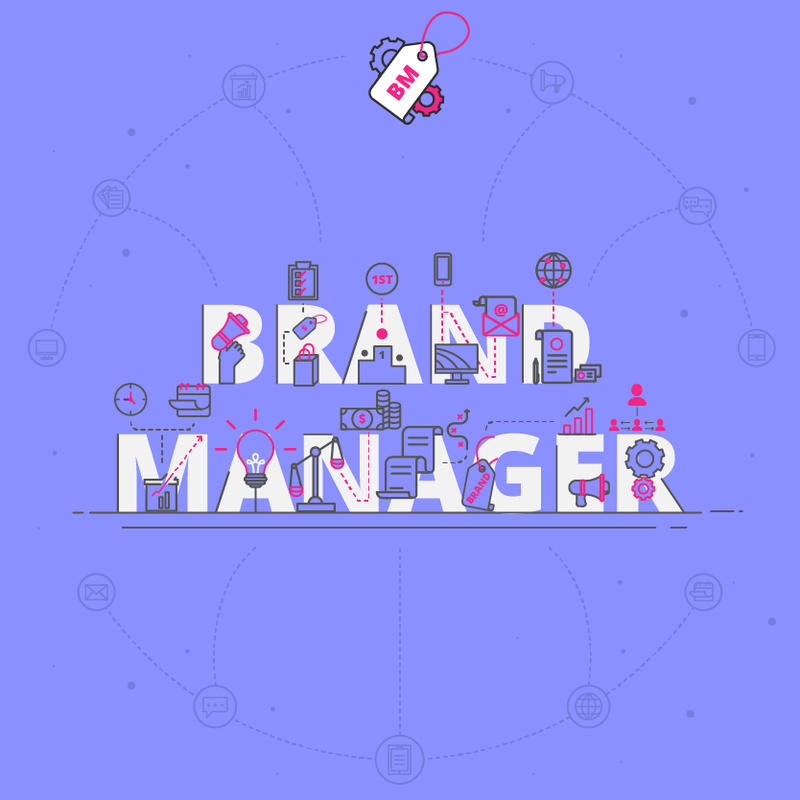 A successful Brand Manager could find themselves working their way up to the position of Marketing Director where responsibilities would shift from the effectiveness of a particular brand to the overall marketing operations of an organisation. What is the potential salary for a Brand Manager? The earning potential of Brand Managers is dependent on the experience someone has coupled with the power of the brand they are responsible for. The Brand Manager of a multinational corporation will be earning a significantly higher salary than that of a start-up. Focusing on improving marketing skills and leadership qualities, paired with time in the field, will improve your standing. What are the education and training requirements for a Brand Manager? Brand Management doesn’t require a specific degree or diploma, favouring experience above anything else, but there are different avenues if you’re interested in a job in the field. Often organisations want a Brand Manager who can exhibit strategic thinking and who has led a team before. Demonstrating good team work abilities, creativity and analytical skills are valuable attributes for prospective Brand Managers. Advertising schools offer Brand Management or brand-relevant diplomas which give candidates direct exposure to the kinds of work a Brand Manager would be required to execute on. Because it forms part of the marketing function of an organisation, a Bachelor’s degree in marketing or a marketing-related function is a logical route for someone interested in becoming a Brand Manager. Selecting the right online short course that will provide you with the recognition and skills your career path deserves, is how The Kartal Distribution Brand Manager, RJ, got to develop his marketing and brand management strategies and knowledge. Download a course prospectus to find out how one of these online short courses can help you become a Brand Manager.